Bollywood CineTalk: From Small Screen to Big Screen! From Small Screen to Big Screen! We thank our friend Suhas for all research and hard work for this article. Courtesy: ItsBoxOffice Forum. 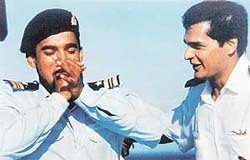 Fauji (1988) was his television debut. He played the leading role of Commando Abhimanyu Rai in the critically acclaimed show, which earned him mass recognition. 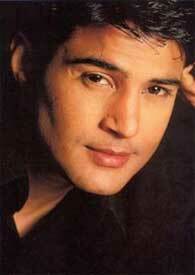 He started his career with a television serial aired on Doordarshan, Swaabhimaan. He started his career with the television serial Swabhimaan, followed by serials like, Farz, Sazish, Kabhi Kabhi, Waris and anchoring the TV show, Baazi Kiski. He featured in Hindi television serials, appearing as a crook in his first venture Yule Love Stories. He appeared in a leading roles in Zee TV's Banegi Apni Baat, Ghar Jamai and later in Tol Mol Ke Bol. He gained popularity as Shakhar in Sony Entertainment Television's Show 'Saaya'. He appeared in the telefilm Kya Hadsaa Kya Haqeeqat, produced for Sony. He was first seen as Preet Juneja in Kis Desh Mein Hai Meraa Dil. He made his television debut in the role of Lakshya Virani in long-running television soap by Balaji Telefilms, Kyunki Saas Bhi Kabhi Bahu Thi in 2006, which first got him recognition. 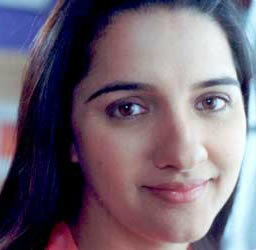 At the age of sixteen, she starred in the first season of Ekta Kapoor's sitcom Hum Paanch as Radhika. She played the title role in the 1994 television serial, Shanti, shown on India's national channel, Doordarshan which was the first ever daily soap on Indian television. She started her acting career in 1999 with Kaleerein. She made her debut on the television screen in daytime soap Kabhii Sautan Kabhii Sahelii. She started her television career in the serial Kasamh Se on Zee TV. She is known for playing the role of Pia, the younger sister of protagonist Bani Walia in Kasamh Se on Zee TV. She acted in many serials such as Kyun Hota Hai Pyarrr, Des Mein Niklla Hoga Chand and Shararat (sitcom) with actress Farida Jalal. She made her acting debut in the daily "Kahiin To Hoga" where she played the protagonist. She made her television debut with Chand Ke Paar Chalo, which was followed by Raajkumar Aaryyan.